Both RBC debit cards and RBC credit cards issued by Royal Bank of Canada are eligible, excluding RBC commercial credit cards. Sign into RBC Online Banking to link your eligible cards now. Need an eligible RBC card? In addition to saving on fuel and earning more points, discover the benefits of having an RBC credit card or chequing account. For complete details, including the definition of the capitalized terms used in the disclosures below, please see full terms and conditions. To participate in this offer, you must have an RBC debit or credit card which is issued by RBC Royal Bank of Canada (excluding RBC commercial credit cards) (“Eligible RBC Card”). When you participate in the Linked Loyalty Offers as a Business RBC Client, you will only be able to link up to two (2) Eligible Business RBC Credit Cards and one RBC Client Card to a Petro-Points Account. 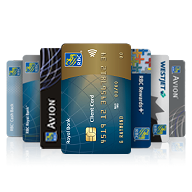 Any/every card means an Eligible RBC Card that is linked to a Petro-Points card. You must be enrolled in RBC Online Banking in order to link your Eligible RBC Card to your Petro-Points card. Card linking may take up to 2 business days to process before savings and bonus points can be applied to purchases. Each time you use your linked Eligible RBC Card to purchase any grade of gasoline, including diesel, at a retail Petro-Canada location, you will save three cents ($0.03) per litre at the time of the transaction. Petro-Points are not awarded on tobacco, gift cards, transit tickets and taxes on non-petroleum purchases. Only certain RBC credit cards earn RBC Rewards points. Each time you use your linked Eligible RBC Card that earns RBC Rewards points to pay for purchases at a Retail Petro-Canada Location, you will earn a bonus of twenty percent (20%) more RBC Rewards points than you normally earn for every $1 in purchases in accordance with the RBC Rewards Terms and Conditions. Please allow up to ninety (90) days from the date the transaction is posted on your credit card statement for the bonus points to be deposited into RBC Rewards account. Only certain RBC credit cards earn RBC Rewards points. Each time you use your linked Eligible RBC Card that earns RBC Rewards points to pay for purchases at a retail Petro-Canada location, you will earn a bonus of twenty percent (20%) more RBC Rewards points than you normally earn for every $1 in purchases in accordance with the RBC Rewards terms and conditions: https://www.rbcrewards.com/#!/terms-and-conditions. Please allow up to ninety (90) days from the date the transaction is posted on your credit card statement for the bonus points to be deposited into your RBC Rewards account. Petro-Points are not awarded on tobacco, gift cards, transit tickets and taxes on non-petroleum purchases. One Petro-Points 2,500 bonus per household. Suncor, not Royal Bank of Canada, is responsible for this offer and the Petro Points program. Full details of the offer and the Petro Points program are available at: https://retail.petro-canada.ca/en/petropoints/about-petro-points.aspx. What is RBC Rewards points?